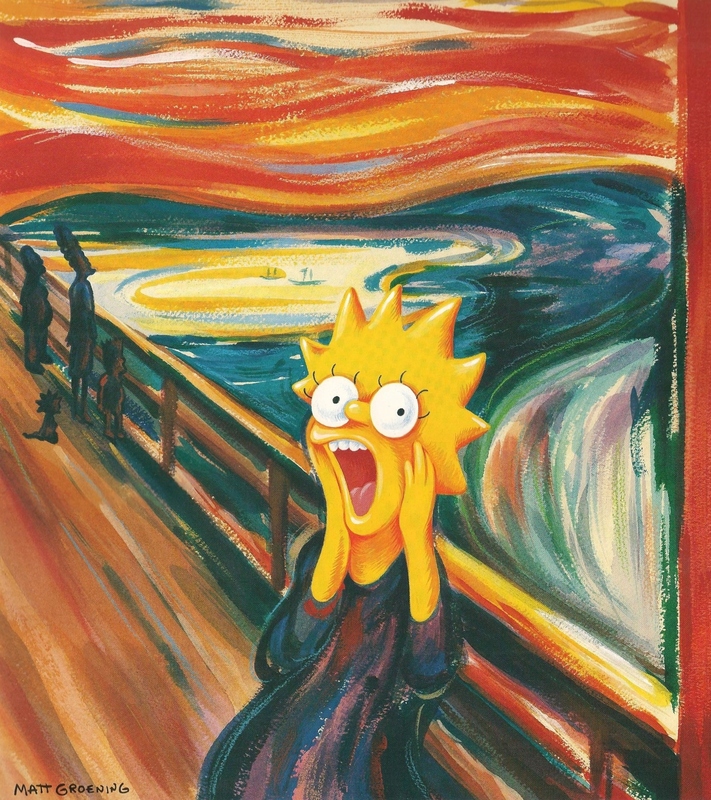 The Screech is a character in a painting based on Lisa Simpson. The Screech is a parody of The Scream. Merchandise – "The Simpsons 1995 Fun Calendar"
Modified on February 9, 2013, at 19:36.